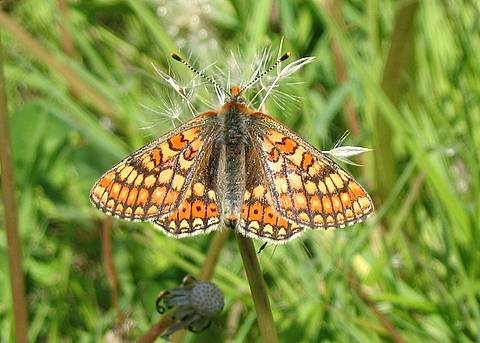 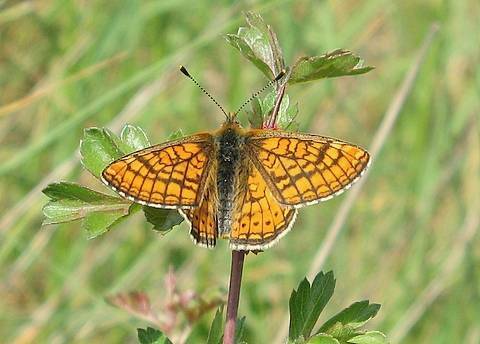 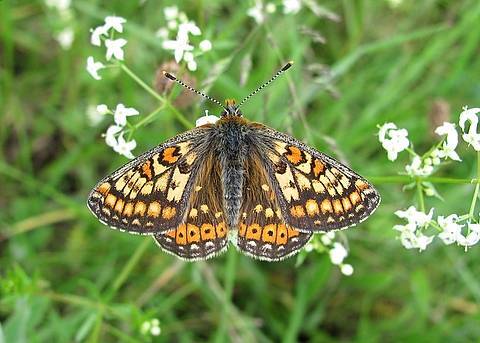 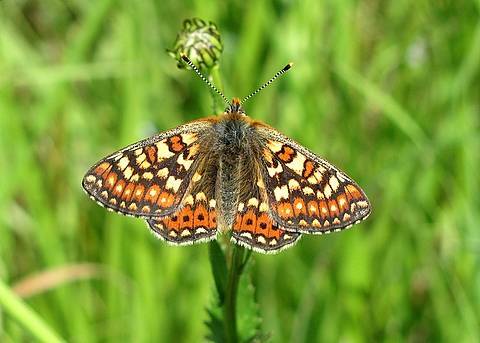 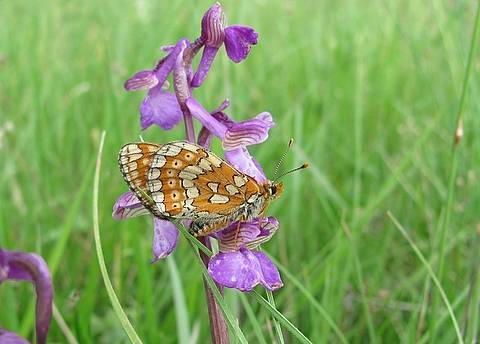 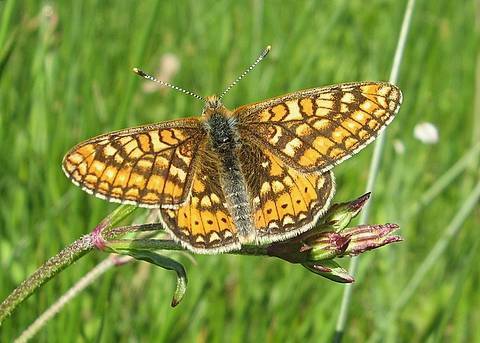 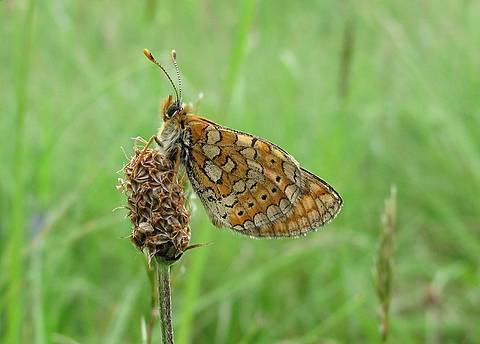 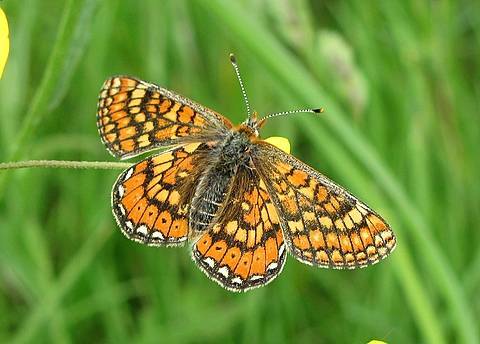 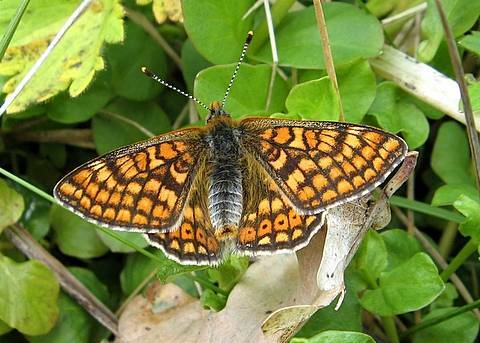 Marsh Fritillary is a protected butterfly in Europe. 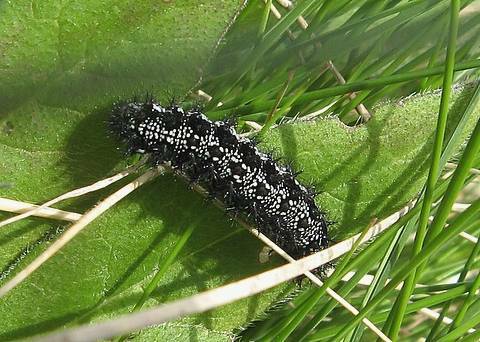 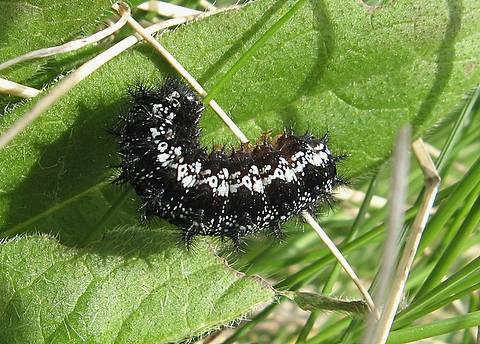 In much of its northern range the butterfly flies in wetlands and the caterpillars develop on Succisa pratensis. 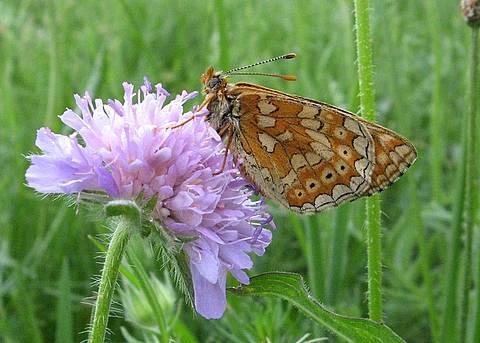 These habitats have been so disfigured across the board that species which depend on them are always under threat.